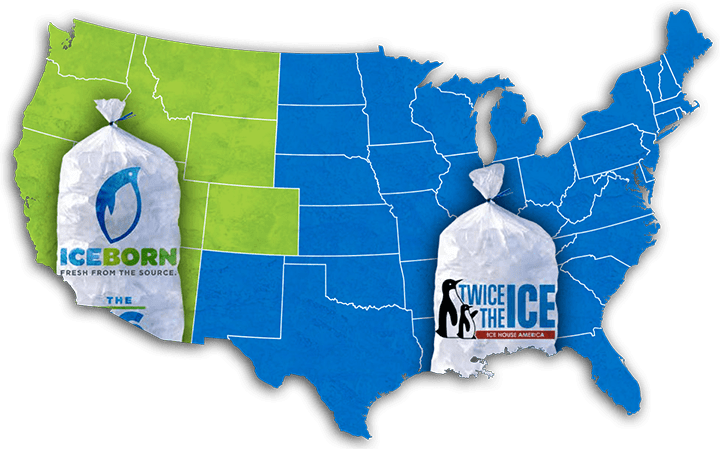 Prior to 2003, the retail ice industry was frozen in place, inefficiently distributing a hard and chunky bagged product that was touched by too many hands. Consumers had to break up the ice, usually by dropping the bags in store parking lots. IHA revolutionized the industry in 2003 by combining superior manufacturing, advanced engineering, and innovative technology to provide high quality ice direct to consumers at wholesale pricing. It was a trifecta for consumers: better quality, lower price, and greater convenience. The retail ice industry was forever changed. one vend at a time. CONSUMER LOYALTY IS REPEAT BUSINESS. Making ice is simple. Building a great reputation is not. IHA’s reputation for high-quality vended ice & water is built on promises kept at every vend. Thanks to innovations in production, delivery, and service, IHA is delivering these advantages directly to consumers every day. FREEDOM IS PEACE OF MIND. Our proprietary technologies ensure IHA operators, that they can deliver high-quality ice & water at attractive wholesale prices. It also ensures every IHA machine is easy to operate, manage, and maintain. BRAND STRENGTH IS MARKET POWER. Consumers gain certainty on quality, price, and convenience. IHA operators around the world enjoy consumer satisfaction, and return business that yields solid ROI. FLEXIBILITY. IHA offers three ice & water vending machine models: House, Kiosk and Express. Every IHA vending machine ensures industry-leading product quality, with a focus on speed and reliability for the consumer, and a ease of operation for the owner. VARIABLE CAPACITY. The difference in the three IHA vending models lies in their ice making capabilities, storage capacity, and their proprietary customizable features. These add value to your investment, quality to your product, and ease to your customers’ experience. SUPPORT. IHA can help you choose the model appropriate to your investment goals, and market demands. Our real estate support service, and permitting experts are there to help. Plus, our field technicians will deliver and install your newvending machine, and our technical support teams are always there to serve you. CONTROL. Part of that certainty is delivered by our industry-leading remote management tool, SMARTICE. This easy-to-use and convenient remote management system allows owners to operate their business from near or far with- out additional employees. The software application can be downloaded to any mobile or desktop device. SMARTICE can be accessed through our downloadable app or through the web based platform. FREEDOM. The smartest thing about SMARTICE is this: It gives you the freedom to focus on things you love, while your ice & water vending machine provides the income. Perfect for the entrepreneur that is short on time or would like to maintain their day job while being a business owner at the same time. Together, we build successful businesses and communities.